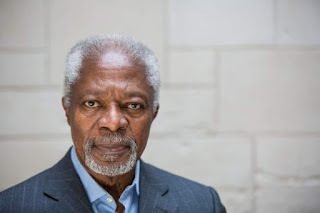 *The Ghana National Union of Technical Students (GNUTS)* has received with great shock, the sudden demise of former UN secretary General Mr. Kofi Annan who passed on during the early hours of Saturday 18th June, 2018. Indeed, his sudden demise is a great lose to Ghana and the world at large. Death which is inevitable is not far from anyone and everyone will respond to the call of death when the time is due. The Ghana National Union of Technical Students (GNUTS) by this statement wants to commiserate with the family and all Ghanaians for this great lose. Indeed our hearts are filled with sorrow and sadness. May the Almighty God grant the family the patience and ability to withstand this conflicting moment. May the gentle soul of our former UN Secretary General rest in perfect peace. 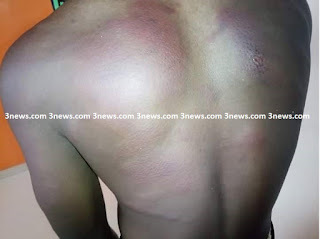 A teacher, who lashed one of his students for allegedly keeping what was considered bushy hair, is to face disciplinary action for his conduct that left the second-year student with bruises over his body. The Cape Coast Metropolitan Directorate of the Ghana Education Service has asked authorities of the Cape Coast Technical Institute to submit an official report on the incident that took place on February 20, for the necessary action to be taken. 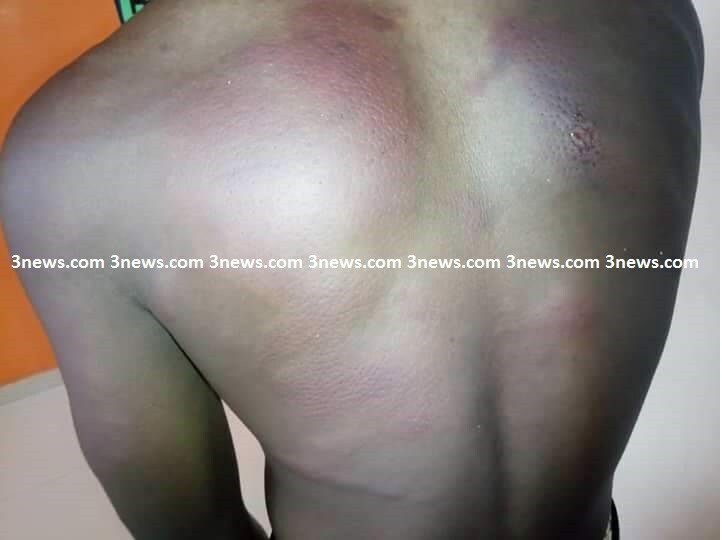 Daniel Sarpong was said to have been caned by one of the teachers of the school for keeping a bushy hair. Parts of his body – his back and arm – were filled with what could be described as marks of assault. The affected areas were discoloured and slightly swollen. The matter was reported to educational authorities in the region who are now demanding full official report from the school authorities for disciplinary proceedings to commence against the teacher. Metropolitan Director of the GES, Stephen Richard Amoah, told TV3’s Adwoa Adobea-Owusu Thursday that the teacher, whose name has been withheld by the authorities, will be made to go through disciplinary measures. He said the incident was reported to outfit on Wednesday, February 21 by the Vice Principal of the school, and accordingly, tasked the school to present official report on it, but did not say whether the school was given a deadline. Meanwhile, KUMASINAIJA.TK has gathered the mother of the student, Ms. 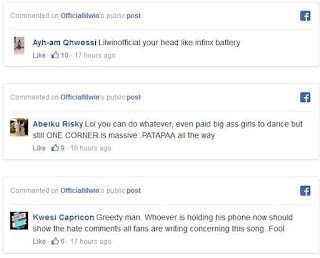 Comfort Oppong, was talked out of reporting the matter to the Police. Our correspondent reported that when Ms. Oppong confronted the school authorities, they apologised for the conduct of the teacher. 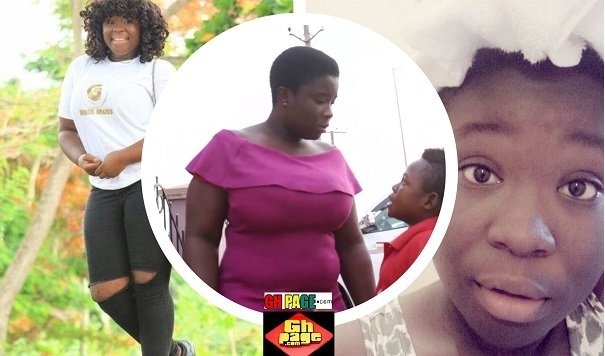 “She confronted the school authorities who apologised on behalf of the said teacher and promised to refund the hospital bills of Daniel and also prevented her from reporting the case to the police,” Adobea-Owusu reported. Our correspondent also said upon a visit to the school, she saw a lot of students who had bushy hair than that of Daniel but were not caned. 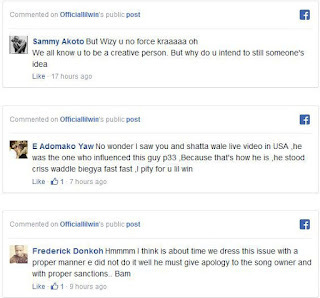 Sherry Boss Reply To His Fans" God Is At Work"
Sherry Boss "The Founder of " BOSS NATION" which Lilwin Claims it as the owner and later move on to build "REAL BOSS MOVEMENT" Which created quarreled between Him & Nkansah Lilwin just Reply to fans that "GOD IS AT HIS WORK". 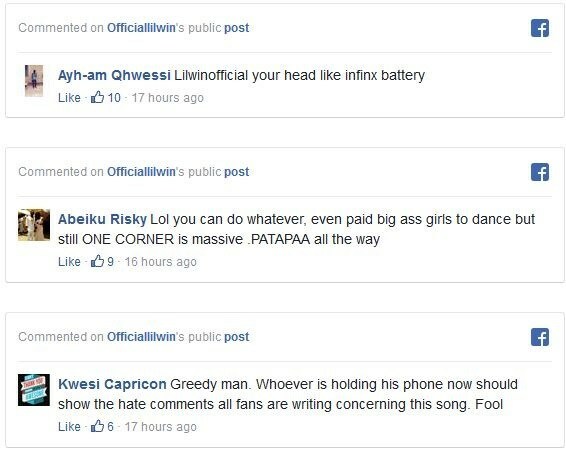 Upon our interview today about the post he wrote easier on, stands on Ghanaians descending on Nkansah Lilwin For Stealing " Patapaa's New Song "One Corner".Others has been blaming and saying a lot of harshy words to Ghanaian Actor who also act as a musician After Unveiling His Track " CORNER CORNER" which they knew is for Patapaa.After Patapaa denies to collabore with LILWIN which he tries and practice bootleg recording so that Lilwin will own the track. 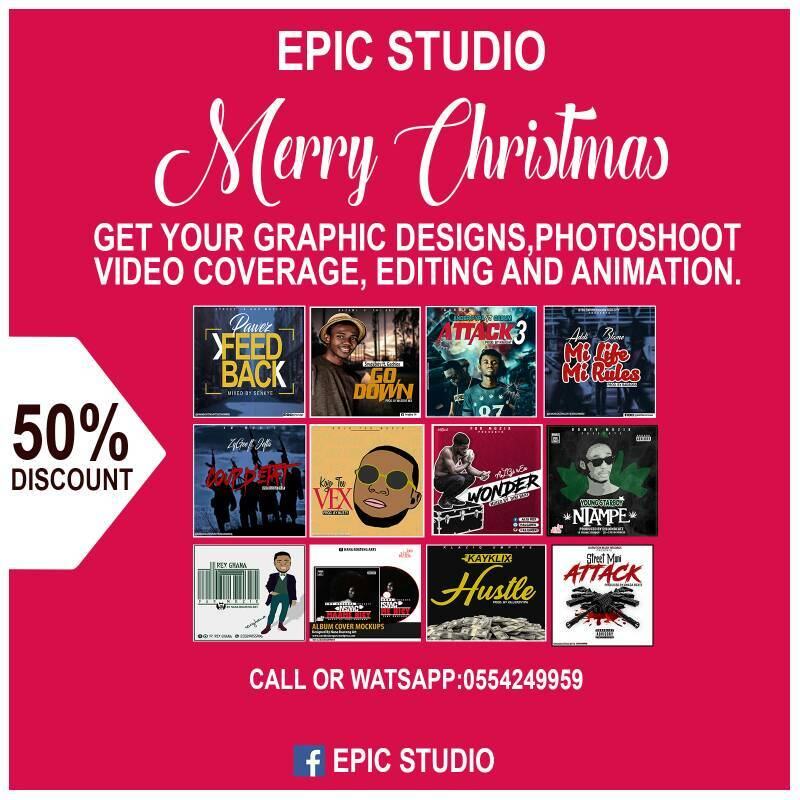 "Sherry Boss Said it is not about that Lilwin situation that made him forward that Post But indeed God has done great things for him and he is giving thanks to him.He Continue Saying "GOD IS AT WORK" We will give you More Update.Continue to Stay with Us. Do everything within your means and get to the top and Ghanaians will rally behind you but become greedy after the shine and they will put you on the chopping board and chastise you in similar fashion. 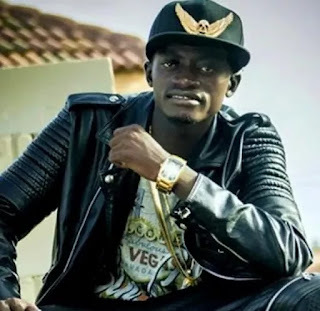 This can be said about Actor and Musician Lilwin who is alleged to be trying to take the shine of Patapaa’s ‘One Corner’ which has become a worldwide hit and is played at several events. The actor, Lilwin is reported to have contacted Patapaa for collaboration on a remix of his highly rated song “One Corner”, however, Patapaa did not buy into the idea because lilwin wanted to be the owner of the remix. 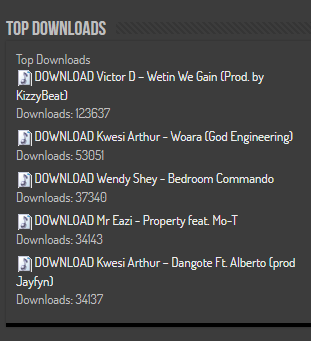 Sensing that Patapaa was been difficult, Lilwin went ahead to record his version and named it ‘corner corner’. During the shoot for the video of ‘corner corner’ the actor streamed live on Facebook and the public seized the opportunity to descend on him for being selfish and greedy. 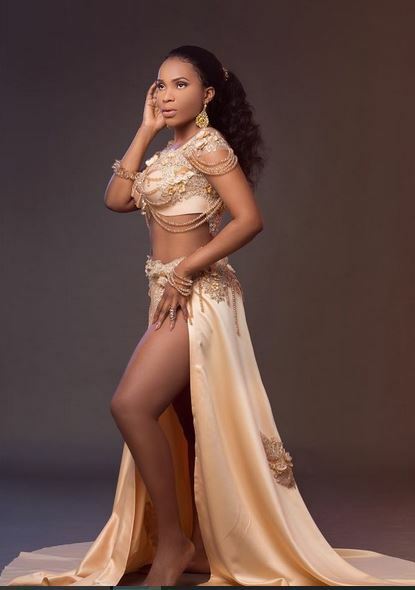 Colleagues of Benedicta Gafah Mass Media Company, Zylofon Media pulled a surprise stunt on her birthday to celebrate the day with her. 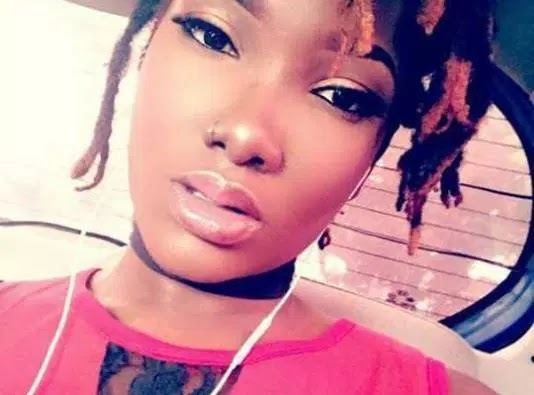 The ambassadors, including James Gardiner, Zynell Zuh, Eddie Nartey and Too Sweet Annan, went to her hotel room with a birthday cake to surprise her. They wished her happy birthday and sung for the queen who could not hide her joy. Kumi Guitar and Obibini also came in to sing for the actress to make her day a very memorable one. Young Actress, Clara Benson known popularly as Maame Serwaa in an interview on Zionfelix ride disclosed that some of her Senior Colleagues have proposed love to her on several occasions. When pushed to mention names of some of the actors who have proposed to her, the young actress mentioned colleague actor Big Akwes. 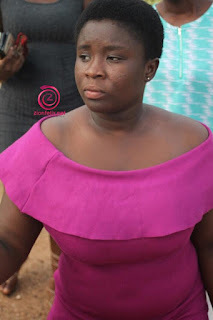 In an interview with Big Akwes on Peace FM entertainment news, the actor disclosed he is shocked Maame Serwaa mentioned his name because she is a kid and has never proposed to her. 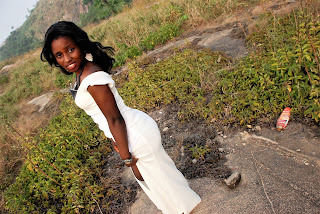 According to the Kumawood actor, Maame Serwaa likes men who are handsome and men who are in the movie industry. 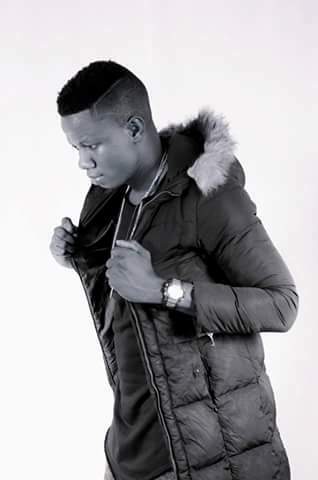 Big Akwes denied proposing love to the young Kumawood actress, he said she is young but she is a girl, I have never proposed to Maame Serwaa but when it comes to off camera we all know we joke about whatever we say, Maame is a small girl, she is a toddler for me to propose to her. 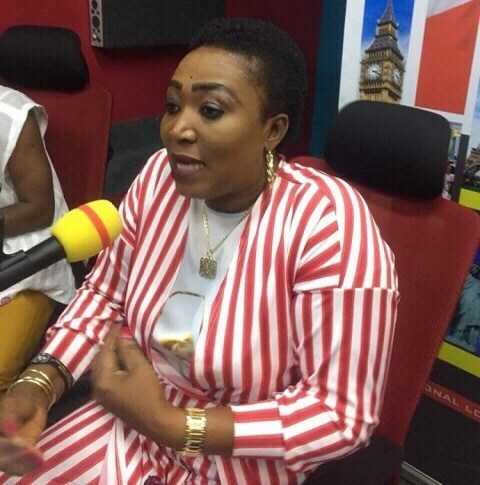 Maame Serwaa actually refused to mention the real names of those who have proposed love to her and who are going out with her, those who sleep with her are there and they are in the industry, he revealed. Asked to mention names of those who proposed to the young actress he mentioned Kumawood actor, Bill Asamoah’s name. 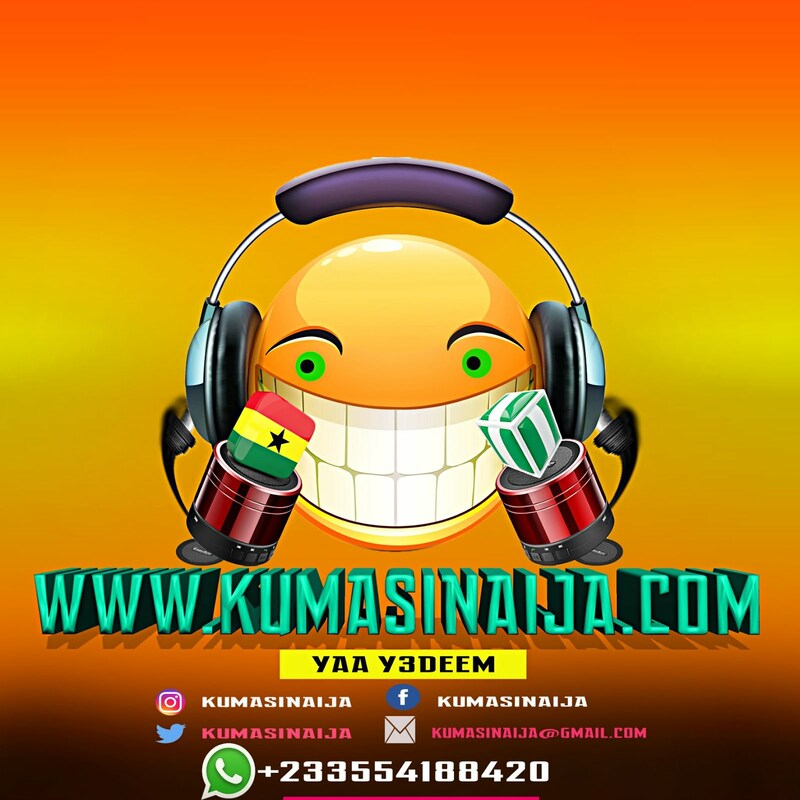 Bill Asamoah is one of the men in the industry sleeping with Maame Serwaa, Big Akwes revealed this on Peace FM’s ‘Entertainment Review’ show. Actor Yaw Dabo has debunked claims that some actors, including himself, are paid $20,000 each for lead roles in local language Ghanaian films. 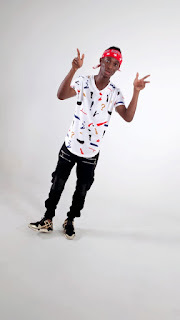 The diminutive actor, who was adjudged the discovery of the year at the 2016 Ghana Movie Awards, mentioned that the rumour is far from the reality. 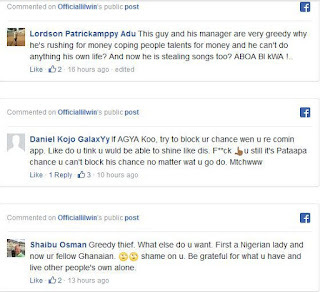 “Everyone likes money and we get paid but not to the extent you are talking about,” he denied the figure on when he took his turn on Yvonne Okoro’s cooking show, Dinning With. 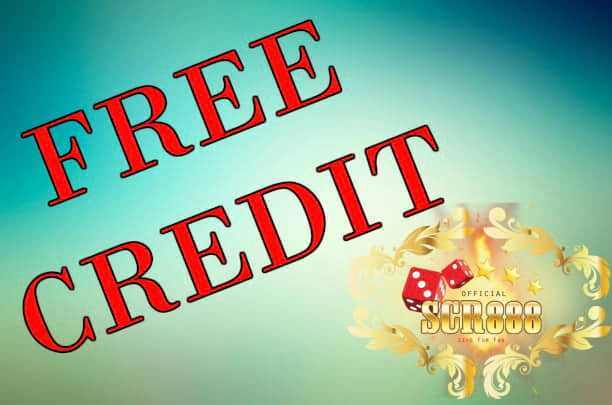 Ghanaian and majority of African actors do not display their rate cards in public, unlike in other acting jurisdictions. Most of them shy away from talking about figures in public, but Dabo dares to be different. He was not scared to drop hints to his acting salary when he was asked. But he won’t elaborate on the highest amount he has ever taken home. He was on the cooking show with Kalybos to show their cooking prowess while they shared jokes on the platform. 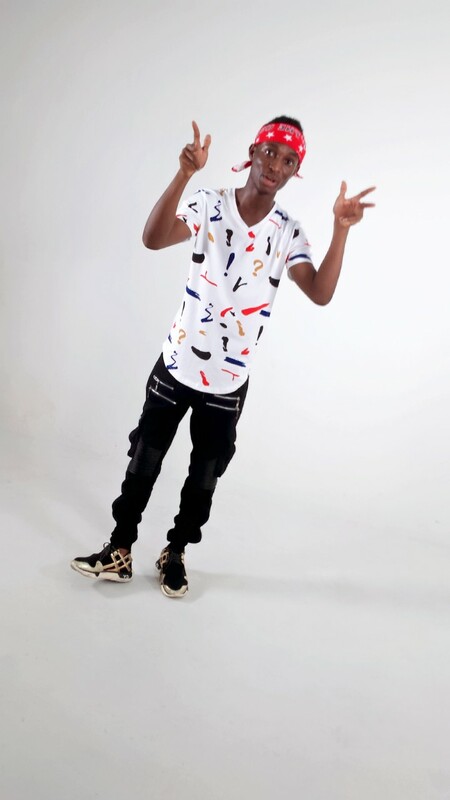 Dabo also reacted to various questions about his career and acting in general, and had confirmed to the hostess that some local language actors sometimes don’t use script to act. He said reading scripts and improvising stifles creativity sometimes, instead, acting extempore is the best. In March 2016, Dabo reportedly disclosed that he has become a rich man courtesy the movies. He even sometimes gives loans to people in need of money and added that he does not give less than a thousand Ghana cedis. 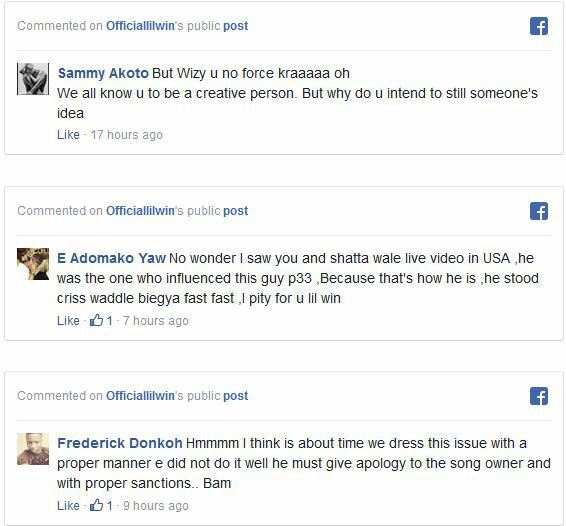 His position is a direct contrast to Yvonne Okoro’s views, who recently claimed that acting doesn’t pay in Ghana. Dabo seems to be enjoying his career. Young Actress, Clara Benson known popularly as Maame Serwaa has disclosed that some of her Senior Colleagues have proposed love to her on several occasions. According to her, she does not take their proposals seriously because it is mostly done in public amidst laughter and jokes. When pushed to mention names of some of the actors who have been “pestering” her with love Proposals, the kid actress mentioned colleague actor and TV host, Big Akwes. 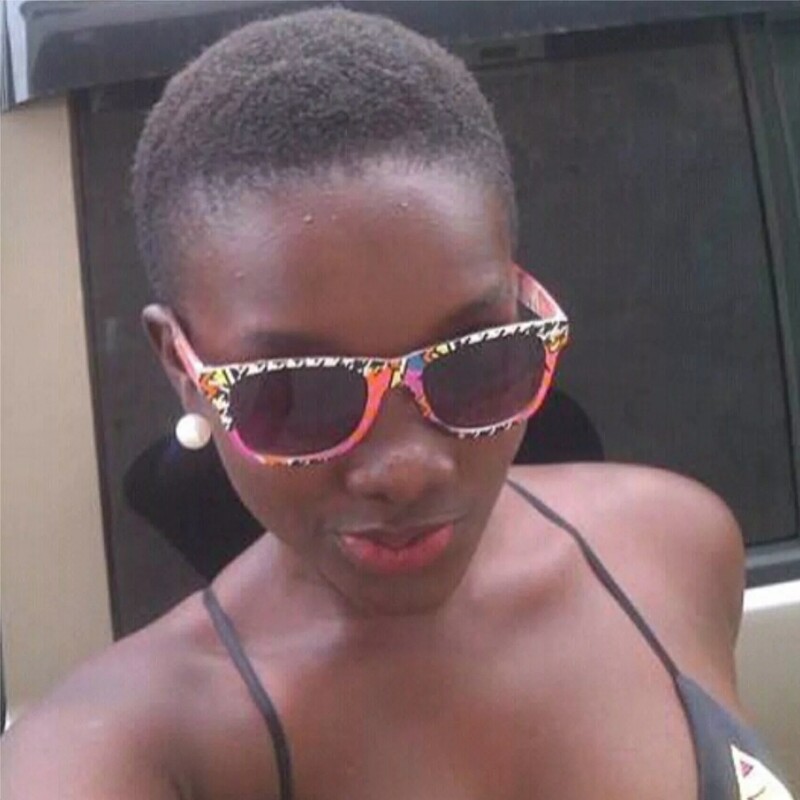 Maame Serwaa put a rest to reports that she was dating Bill Asamoah by denying the claims which described as lies.